What are the Differences between Business and Residential VoIP? When searching for the best VoIP provider for your home and/or business, you may notice that the experience is a little different; most notably, the prices on residential VoIP are easy to understand, but business VoIP service providers seem to have arcane categories and pricing lists. The reason is because residential phone services are very straightforward, while the business needs vary as much as the businesses themselves. Generally, residential VoIP have the same 40 class five softswitch features. Residential VoIP providers usually have one or two voice mailboxes, one or two phone lines, one phone number, no extensions, one virtual extension/forwarding number, and either cheap or unmetered minutes per month. So, given that the playing field is so level, each company wants to be as straightforward as possible in listing their low prices, explaining the features, and highlighting any unique features, if any, that they have. Small businesses overlap both categories. Some businesses only want cheap minutes. Others want a virtual PBX. For the former, VoIP providers simply allow businesses to use the same plan. The key difference in those cases is their “reasonable use policy.” Businesses use more minutes than homes. 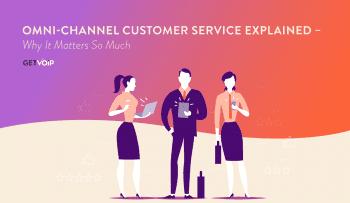 So long as the businesses do not operate call centers, use auto-dialers, and adhere to other rules that still qualify them as a small business, they will receive the same service at the same price as a residential customer. For the latter, companies like Nextiva and Fonality offer a virtual PBX that relies heavily on virtual extensions, giving business VoIP services on a smaller scale. Business VoIP providers, in addition to phones and minutes, provide a host of software and hardware solutions that are far beyond what any home would need. 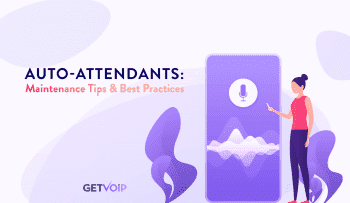 In addition to the aforementioned auto-attendant, business VoIP providers offer SIP trunking, telepresence, and conference bridges, just to name a few. Many VoIP providers, such as OnSIP and Vocalocity offer a robust desktop application that integrates with other programs. Others have call center-specific software that analyzes call queues and helps supervisors best help their agents help their customers. Some business VoIP providers have pricing tiers that are similar to the telephone and PBX services they hope to replace. Yet, the technical functions of services are not always similar to legacy systems. It used to be that one telephone number and one telephone line were one and the same. A VoIP telephone line can handle many concurrent calls, which are technically called “channels.” The number of calls that one phone number can take is limited largely by the available bandwidth (~64 kbps per channel, depending on quality and compression), and larger companies can easily make over 100 calls at a time. Residential services, by comparison, have a maximum of three channels: Two simultaneous calls, plus one on hold or inbound on call waiting. In a business VoIP setting, all inbound calls are routed as extensions of the main number, unless the business also purchases additional direct numbers. One of the great features of VoIP is that outbound calls, even calls made over the mobile app or with a click2call, have the same caller ID as the main number. 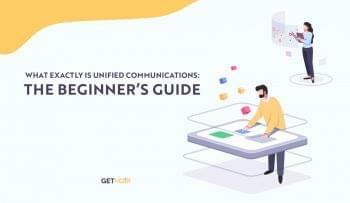 The technological underpinnings of VoIP are such that, typically, business VoIP providers charge per user (alternately called a seat, or desk) with a cell phone and a home phone—two virtual extensions per user. For all the capacity of VoIP channels, human capacity is not as simple as adding more bandwidth. Therefore, business VoIP offers features, sometimes at a premium, features such as call queue, call groups, and automatic callback (ACB). None of these features, of course, would be appropriate for a residential setting. Most residential VoIP providers offer many of the same features at a low cost, either metered or unmetered. Business VoIP service providers offer a large number of different features tailored to the size and needs of each business. Small business VoIP plans either mimic residential plans, or offer some of the business features on a smaller scale, most notably auto-attendant and virtual extensions.